Compare prices on car hire in Greece from all the major brands and find the best deals. When you book through us, unlimited mileage and insurance are always included in the price given. Greece is situated in Southeast Europe, and has 10.7 million inhabitants (2009). It is bordered by Albania , Macedonia , Bulgaria and Turkey , and has coastline on the Mediterranean, the Ionian Sea and Aegean Sea. 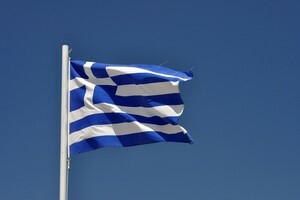 Greece consists of both mainland and islands. The mainland is located at the southernmost part of the Balkans and on the peninsula Peloponnesus and the Greek Islands (1425 large and small – where 166 of them inhabited) is mostly surrounded by the Aegean Sea.Islands, Crete , Rhodes , Corfu , Santorini and Zakynthos are popular tourist destinations in the summer season and attracts tourists with sun and beach holiday, beautiful scenery and historical sites.Greece has less than 17 million visitors annually. The landscape of Greece consists primarily of mountains, but also lakes and wetlands. The highest point is Mount Olympia – which measures 2919 m.The country has a typical Mediterranean climate, with mild and wet winters and dry, hot summers. In northern Greece, is a more continental climate. Other major cities in Greece, Thessaloniki , Patras, Heraklion , Larisa, Volos, Ioannina and Rhodes Town. Many of the Greek islands have international airports with large charter traffic in the summer season. The country’s main airport is 27 km east of Athens , called Eleftherias Venizelos International Airport . Booking of car hire in Greece has never been easier and cheaper. Try the search engine over and get rates from several car rental companies at once.